This creative pair are moving from Marvel to DC. As detailed by The Hollywood Reporter, Spider-Man: Homecoming screenwriters John Francis Daley and Jonathan Goldstein are in negotiations to direct Warner Bros.' upcoming Flash movie, Flashpoint. 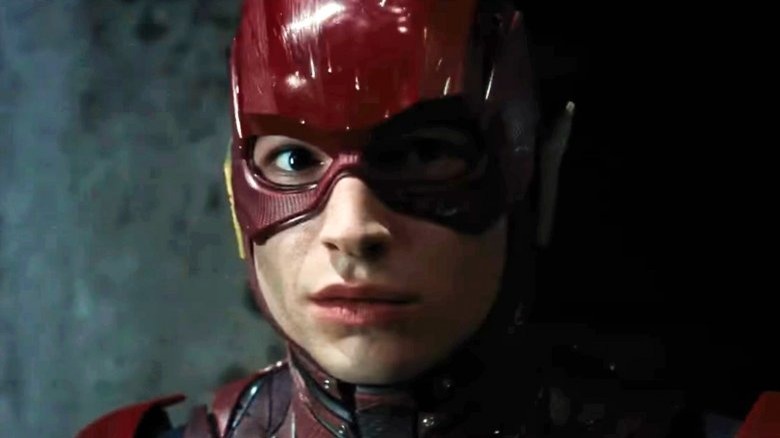 The impending DC Extended Universe project will see Justice League star Ezra Miller will reprise his role as the Scarlet Speedster himself, and will adapt the 2011 DC comic book series of the same name. Daley and Goldstein step into the directorial seat once held by Dope filmmaker Rick Famuyiwa, who exited Flashpoint in October of 2016, citing "creative differences." Famuyiwa's dropping off came after The LEGO Batman Movie writer and It producer Seth Grahame-Smith, who penned the pic's script, stepped down as director. Grahame-Smith also chalked his exit up to creative differences back in April of 2016. Studio Warner Bros. declined to comment on the announcement. Star Miller previously opened up about the film, explaining that although the road to development has been filled with bumps, potholes, and plenty of unexpected puddles, things are looking up for Flashpoint. "The development of the project has been a little Barry Allen-like in its mercurial tendencies," he said. "But it looks more promising and more exciting than any of the other stages of development that we've been in." The 25-year-old actor also teased how Flashpoint will approach the well-known Geoff Johns comic storyline. "What fans understand when they hear Flashpoint would be almost like hearing a word like 'crisis,'" Miller stated. "We start to understand that our precious DC universe will inevitably be torn asunder to an endless, headache-inducing fabric of multiversality. The DC Hyper-Extended Multiverse, as I plan to call it. Quote me! There's elements in it that we're going to be playing into that we couldn't do anywhere else. The scale of it, the Batman story of it all." Beyond writing the script for the Tom Holland-starring superhero hit, Daley and Goldstein have gained fame for penning comedy flicks like Horrible Bosses, as well as writing and helming the 2015 pic Vacation. The two recently wrote and directed Game Night, featuring Jason Bateman and Rachel McAdams in the lead roles, which is due out in theaters on February 23. Flashpoint is expected to launch sometime in 2020, though an exact release date hasn't yet been announced.